These Vans Old Skool Jersey skate shoes are available for Men & Women in Grey & White. The casual, low top profile of the canvas uppers features double stitched reinforcement for greater duarbility and increased longevity. A round, white lace winds its way up the Vans shoes through 7 pairs of metal eyelets, while the lace-up has a fold over trim that continues up and around the top line collar of the skate shoes. A Vans logo tag sits on the outside of the shoes, marking these Vans Authentic out as a genuine classic. The sole unit is extremely flexible and durable; made in white rubber. The Van have a finely textured toe bumper, which provides more grip, and a Vans' 'Off the Wall' plaque on back. Underneath, is the classic Vans vulcanized rubber waffle outsole. This signature design of the Vans shoes features a high-grip hexagonal and diamond-shaped tread that has proven popular with the skating subculture. 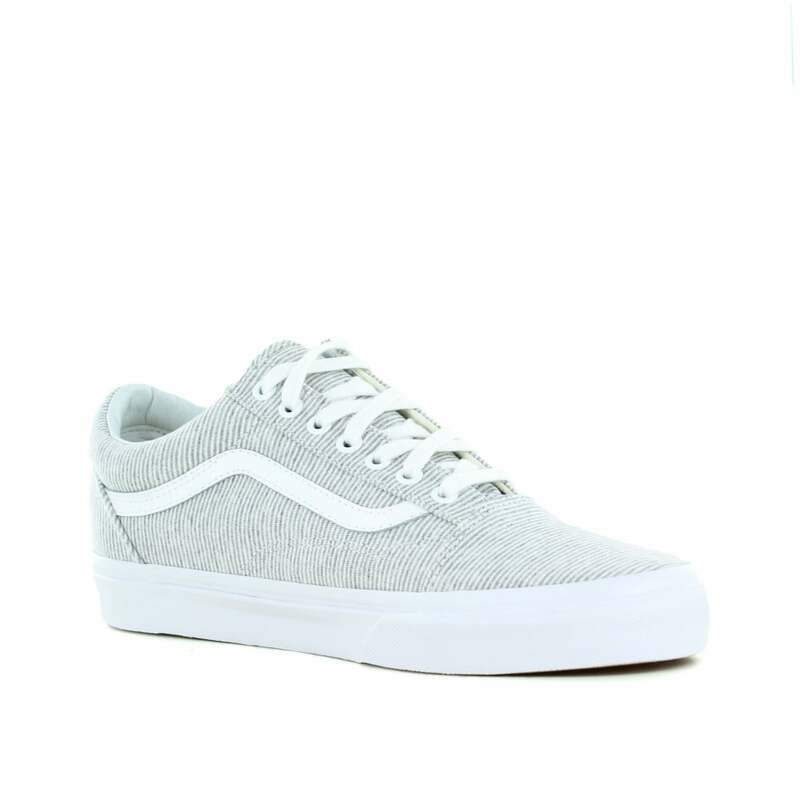 Buy these Vans VN0A38G1I1F Old Skool Jersey Womens Canvas Skate Shoes in Grey & White at Scorpio Shoes.